This is a sponsored conversation written by me on behalf of Meijer. The opinions and text are all mine. 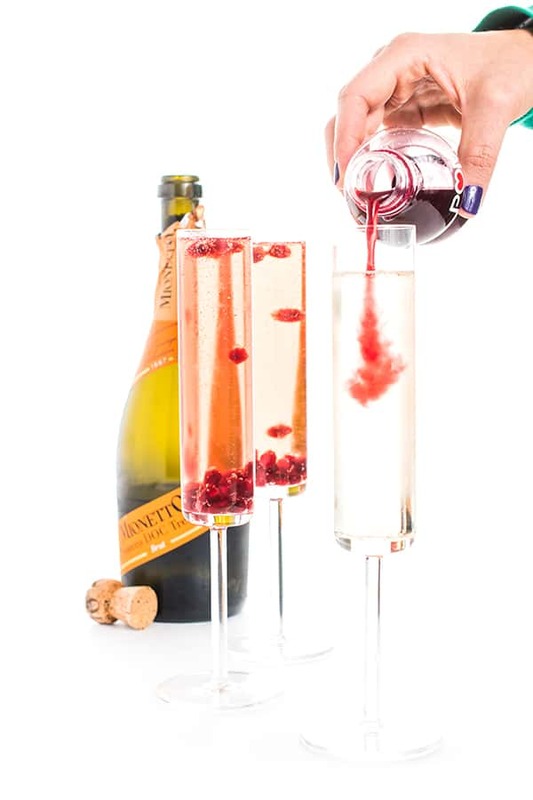 A seasonal twist on the classic mimosas, pomegranate juice and sparkling wine come together to create the perfect brunch cocktail recipe. During the hectic holiday months, brunch is one of my favorite ways to entertain friends and family. Casual, affordable and way less pressure than an evening affair, there is something so wonderful about inviting those you love over for brunch. Of course, you can’t talk brunch without talking mimosas so I decided to create a seasonal version made with pomegranate juice. The best part about serving these festive mimosas is that you don’t have to worry about stocking a full bar or shopping for pricy bottles of wine. 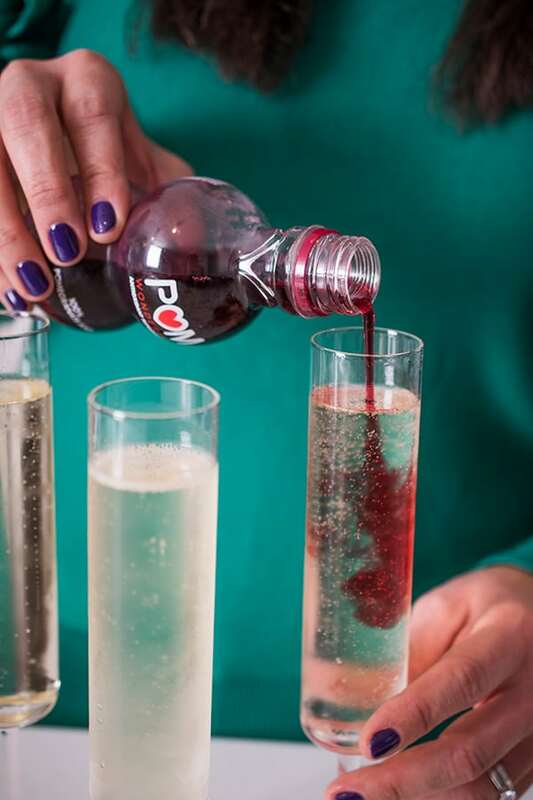 In fact, there’s no need to splurge on expensive Champagne for this brunch cocktail. While you’re shopping for your favorite brunch eats at your local Meijer, pick up any bottle of affordable dry sparkling wine such as Prosecco or Cava. Your ultimate one stop shop for the holidays, Meijer has everything you need from holiday recipes to decor to entertaining to gift ideas and more. I don’t know about you but I’m dying to try the vegan cinnamon rolls in Meijer’s Holiday Guide! 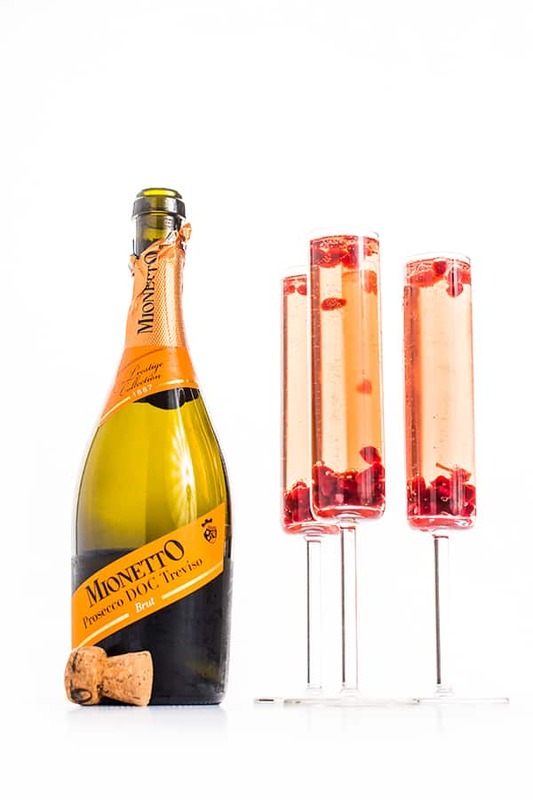 There is just something so festive and fun about a fizzy cocktail with floating pomegranate seeds. 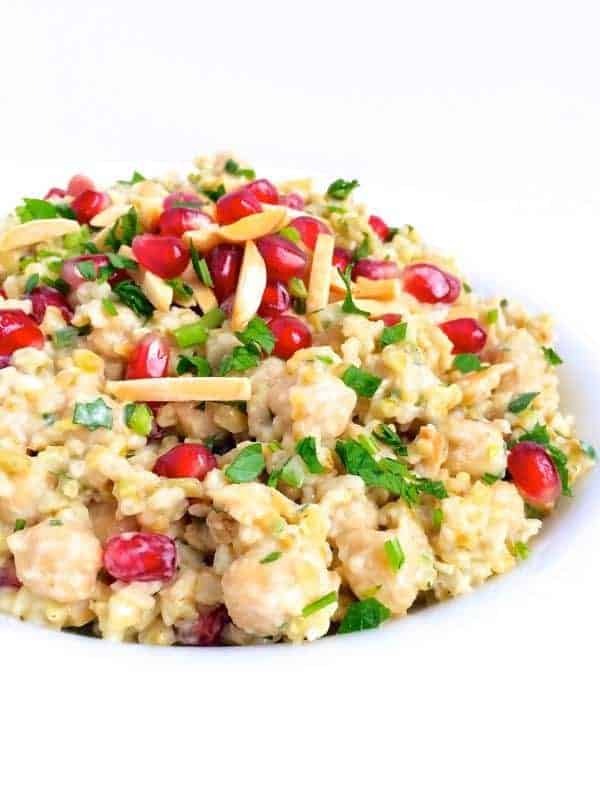 You can break down a whole pomegranate or pick them up already seeded. Meijer has either option for you depending on preference. What cocktails do you love to serve at brunch? I’d love to hear from you! 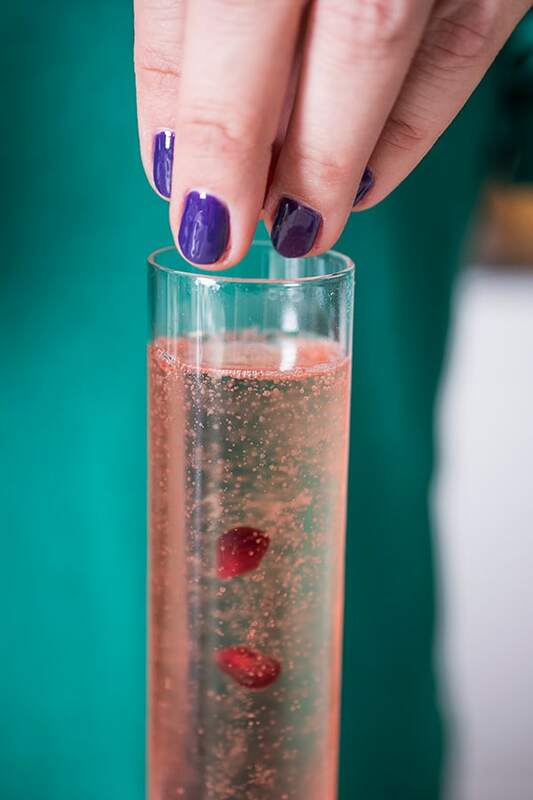 A seasonal twist on the classic mimosas, pomegranate juice and sparkling wine come together to create the perfect brunch cocktail recipe. 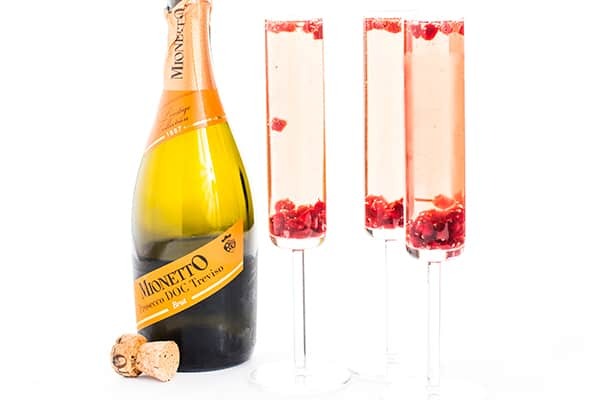 Divide the sparkling wine between four champagne flutes. 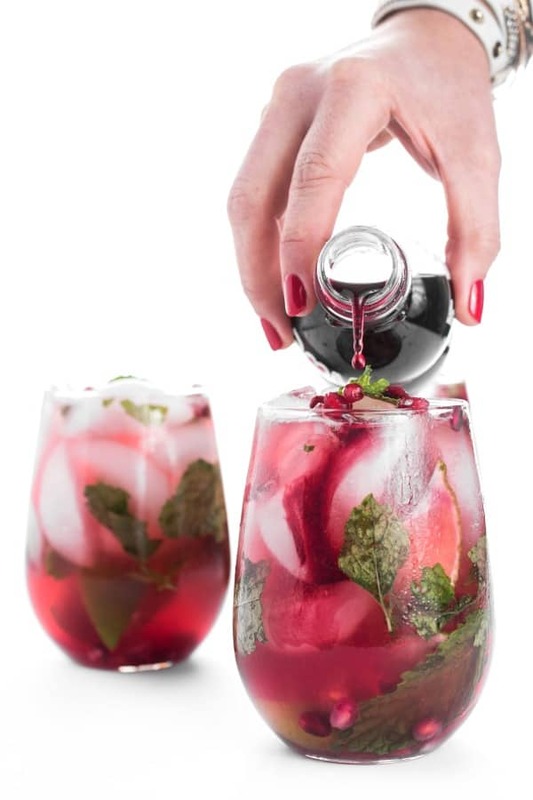 Pour in one tablespoon pomegranate juice into each glass before garnishing with pomegranate seeds to serve. Disclosure: I am honored to be a brand ambassador for Meijer. Thank you for supporting the brands that make The Lemon Bowl possible. All thoughts are my own. Photography by Alejandro Photography.